S.K. 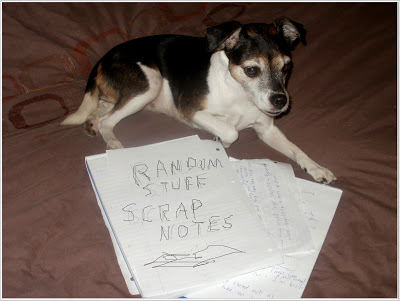 Mayhew, Kid Lit Writer : Random Act of Kindness BLITZ! Random Act of Kindness BLITZ! Choosing one person to celebrate today was hard. So many people in blogland have done kind things for me. I have more than two hands full of people who critique for me or come to the rescue when I have a question. So I dug deep and thought about something more than what they did for me... Do you remember a few months ago I did a post about my talented niece, Bethany? Well the person I am celebrating today, has done something wonderful for my niece. She has given her a shot to illustrate a story for her magazine. More than that she has helped my niece see what a gift she has given her confidence and a direction for the future. With that being said I'd like to introduce you to Donna McDine. Donna has been published in over 100 print and on line publications. She has one award winning early reader book called THE GOLDEN PATHWAY and three more books under contract. She is the Editor-in-Chief for Guardian Angels Kids Magazine. Donna is an exceptional person and I hope you will hop over and check her out. I sent Donna a little surprise in the mail and she should get it on Today. Do you know someone special that you'd like to randomly acknowledge? Have you ever participated in or been the recipient of a Random Act Of Kindness? Let me know in the comments! That's awesome that Donna is helping your niece. Great choice for a RAOK! I'm fairly new to blogging and this is the first I've heard of this- it sounds wonderful! Donna seems pretty worthy- thanks for sharing and encouraging others. Donna sounds amazing! Nice to meet you, Donna. Hurray for Donna and your niece!!! That's awesome! I love hearing all these RAOK - what a great way to start the morning! We quite regularly practice RAOK at work. Pretty/Nice things will end up on each other's desk with out knowing who or why. it's fun! This has been fun reading who everyone picked as their ROAK. Donna sounds awesome! Great choice. What a great reason to pick Donna! Aww that is so nice!!! There is nothing I love to celebrate more than kindness! Bethany is so talented and Donna rocks for giving her a shot. Hooray. Congrats, Donna! You sound like a truly wonderful person. Thanks for giving Donna's niece a shot at her dream. And thank you, Sharon, for spreading the love! Hi Sharon! That is so exciting for your niece. Donna is wonderful person. I'm a follower of her blog. That is really cool about your niece! Thanks for introducing us to Donna as well. This RAOK initiative is great. Congrats to Donna. It's great to meet your niece, Donna and you! This RAOK is one of the best blog fests I've seen. How sweet! Congratulations to Donna. And congratulations to you, too. I found you by way of Kelly's RAOK Blitz. Isn't this fun? Awesome post, Sharon, and what a great way to celebrate another person! Dropped things I've sewn off to friends when I know they're having a crap day. A good friend of mine makes sure that all the people she doesn't get along with so well get a plate of Christmas cookies from her, THEN her friends. I've always thought that was cool. Such a kind and nice gesture. Sharing all these kindness would surely bring positive outcomes. I love this RAOK. It has extended my friendships. What a lovely lady to celebrate. Congrats to Donna for making a difference in the life of a young aspiring artist. I think it's great that she gave your niece such a fantastic opportunity! RAOK is all about paying it forward and Donna has done that for your niece. My apologies for being so late in dropping by and visiting. Sharon, blew me away with such a lovely post. And I'm over the moon with everyone's gracious comments. Each and everyone of you have brightened my day! I couldn't agree more, Sharon. Donna is one awesome lady as both friend and mentor. She was an excellent choice for you!